Welcome to the Writers' Page for Phillips Free Library, a guide to the library's resources for our local writing community. 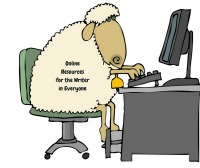 Take a look a look around and find resources, events, NY State indie published e-books, and resources for self-publishing e-books. Books for Writers available at Phillips Free Library.